Well, we've seen this coming for weeks now – leak after leak showed off the bright red Nexus 5, and now it's finally available. 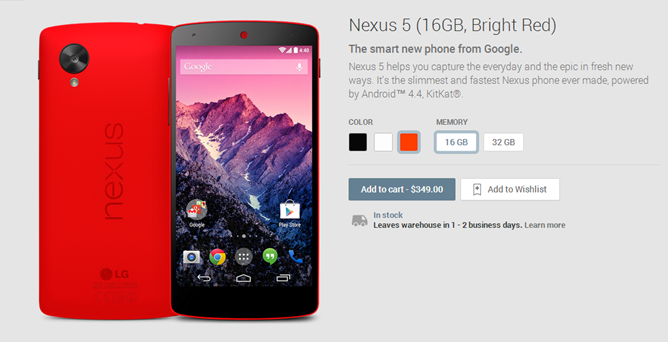 The cost is the same as other Nexus 5s: $350 for 16GB or $400 for 32GB. Not that we expected it to be any cheaper anyway. On the upside, if you want one for free, here's your chance. So there you go. Hit the link below to make one yours today. SEOUL, South Korea, Feb. 4, 2014 /PRNewswire/ -- The first red Nexus 5 device is now available on Google Play™. Nexus 5 is the first Google phone to be offered in three colors: red, white and black. Launched last October in partnership by LG and Google, Nexus 5 received praise as a stylish, high-performance Google phone. Nexus 5 is equipped with a Qualcomm Snapdragon™ 800 processor, a stunning 5-inch Full HD IPS display and runs Android 4.4, KitKat, the latest version of the Android OS. "The Nexus line has always been about doing things differently and consumers who share this philosophy have been among our most loyal fans," said Dr. Jong-seok Park, President and CEO of LG Electronics Mobile Communications Company. "We're carrying this thinking over to the red Nexus 5, which we think will catch the eye of consumers who want to make an even bolder statement." The red Nexus 5 will be available on Google Play™ starting this month in the United States, Canada, U.K., France, Germany,Italy, Spain, Australia, Hong Kong, India, Japan and Korea with wider availability across Europe by the end of the month. 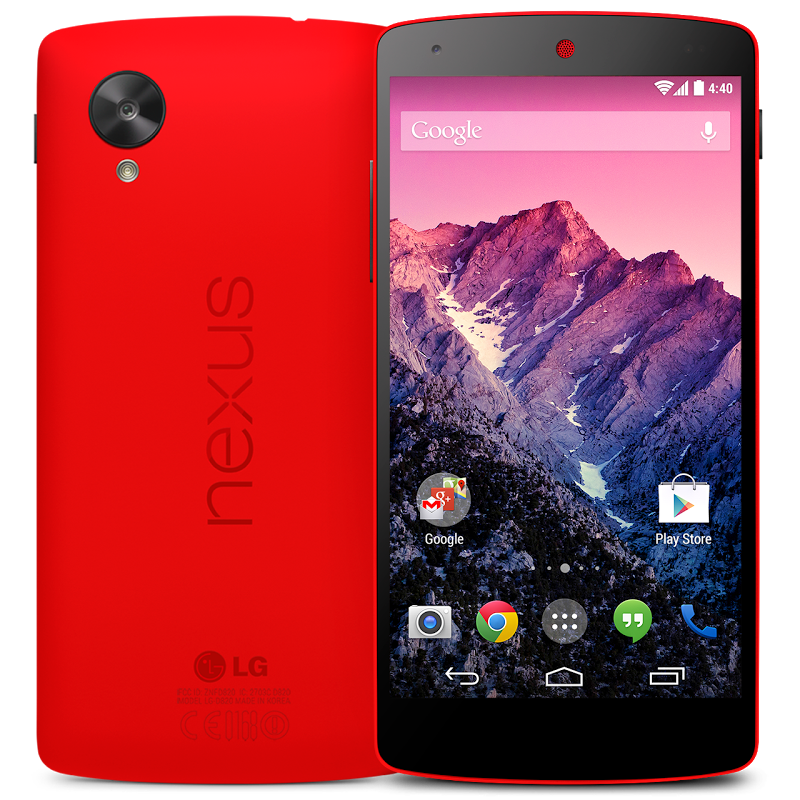 Customers will also be able to purchase a red Nexus 5 in retail stores in select markets.